A few weeks ago in the late evening hours, our family saw a fire in a field not far from our home. The blackness of the sky filled with hues of oranges and reds as we stood mesmerized by the buring fire. There was such beauty in the fire’s colors as it brought a sense of peace within me. There was no imminent danger as this was a controlled burn and we could see between the different lines of fire, cars and people move about as the fire progressed to its break line where it eventually would burn out. The next morning as we looked out our windows, all we could see was blackness where the once green field resembled the beauty of Spring from the day before. It was almost as if the blackness of the night sky now blanketed the field instead. It brought a sadness within me as my thoughts drifted to looking out the window and seeing darkness instead of signs of Spring as the land healed over the next few months. Who wants to see darkness and destruction to start their day? Not me! Here’s where a new perspective was laid upon heart. There are times in life where darkness succumbs us in our circumstances and our lives seem to spin out of control with no breaking point in sight. We fail to see the beauty in our midst…..yes I said beauty! No, I’m not crazy! The beauty may not be seen in the center of it all and it may look just as black as the night sky with smoking embers of the fire around us bringing hopelessness. There is beauty and peace within it just depends on what you choose to fix your eyes upon. I had breakfast with a friend the following week. I was in a place of darkness and seeking advice as well as support in a circumstance that seems unending. 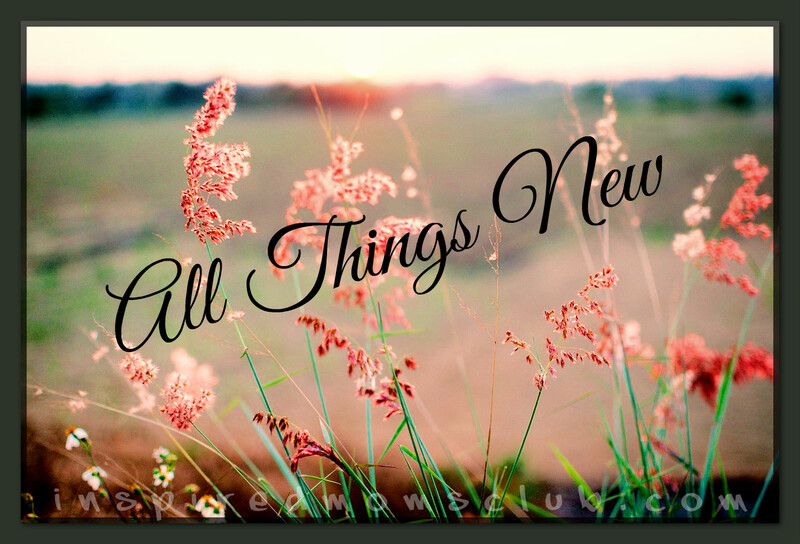 My friend prayed over me and reminded me that the Lord makes all things new (see 2 Corinthians 5:17 and Revelation 21:5). As I drove back home, I felt the Holy Spirit leading me to take notice of the field that had burned the previous week. Would you believe green grass was forming and spreading throughout the blackness! The blackness no longer a vast sea of death but showing vibrant signs of new life! My! How peace was restored in my heart not to mention the change in my focus! In life we are going to have many trials, struggles and pain (John 16:33) that are so overbearing we cannot truly see the refining beauty let alone fathom inner peace. I say inner peace because that is the peace the Lord gives. (John 14:27). We see peace as the absence of problems but it’s not true peace. Inner peace is knowing and trusting the Lord will provide in your circumstance all the while growing and refining you as you walk with Him through the path set before you. I again felt prompted by the Holy Spirit just yesterday to take notice again of the field and compare its newness from the week before. God is amazing! Not only was there not any blackness but the entire field green and thriving with life! In life we are to walk by faith in Christ and not by what we see physically (2 Corinthians 5:6-10) for whatever fire we are in is temporary and passes away (2 Corinthians 4:18). When we focus on the unseen who is Christ, our faith grows as we trust Him to walk with us through the fire giving us the eternal peace that this will all soon pass, taking heart for He makes all things new in Him.